There are only a few other things on this planet I love more than high-waisted pants. Caramel donuts being at the top of that list somewhere, but let me not digress I could talk about caramel doughnuts all day. High waisted jeans/pants/shorts look good on any body type. They cinch you right at the waist giving the illusion of a curvier silhouette and they make your derrière pop at the same time too, what’s not to love? I got these particular blue high-waisted shorts from a friend of mine when I was in the UK and I absolutely LOVE them. They are super stretchy, give my thighs breathing room and hug my waist like there’s no tomorrow. They’re also not inappropriately short either. The stretchiness allows me the ability to walk around without having to pull them down to ensure my behind is not showing every two seconds. I decided to pair my sent-from-heaven shorts with a white collared blouse I got from Primark. 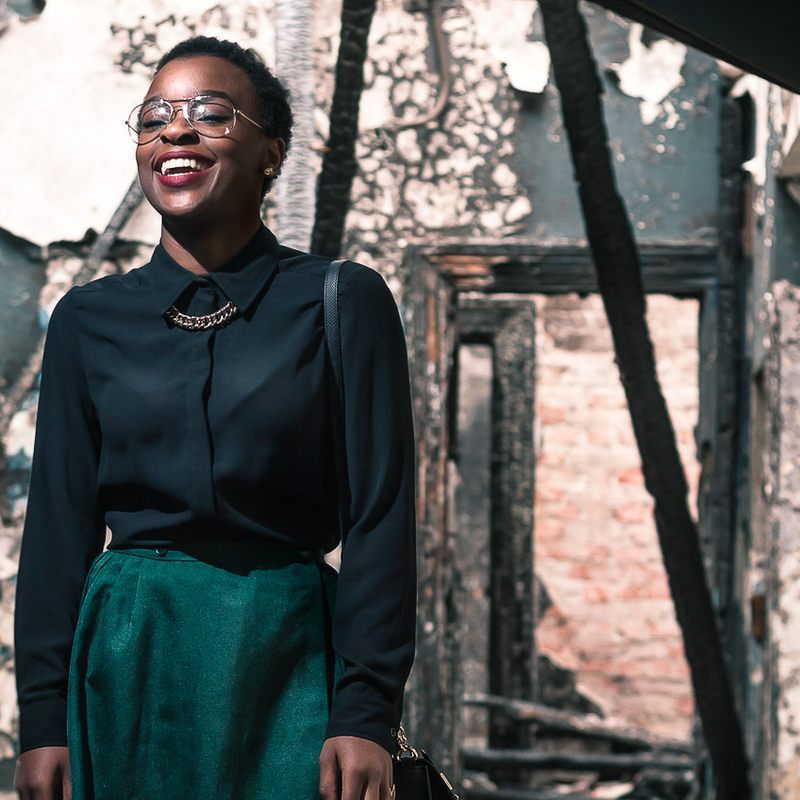 I am not into over-accessorising, so the silver choker I slid under the collar and the sunglasses seemed like enough. 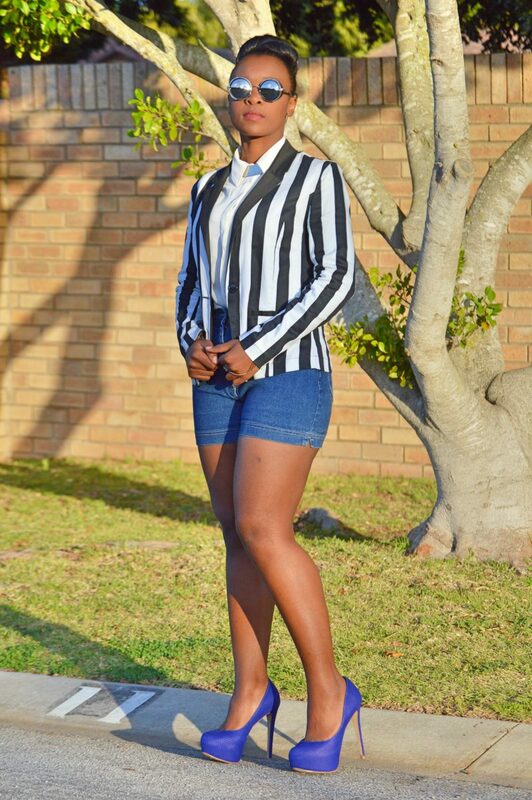 The black and white striped blazer made sense to pair with this outfit and make the entire look seem a bit more put together. 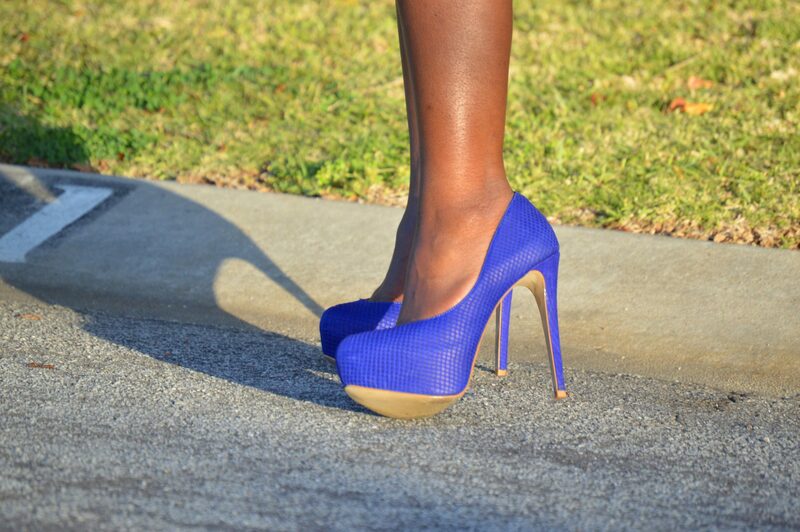 I opted for blue platform shoes rather than the usual dark/black I go for because I wanted to keep things light and airy. 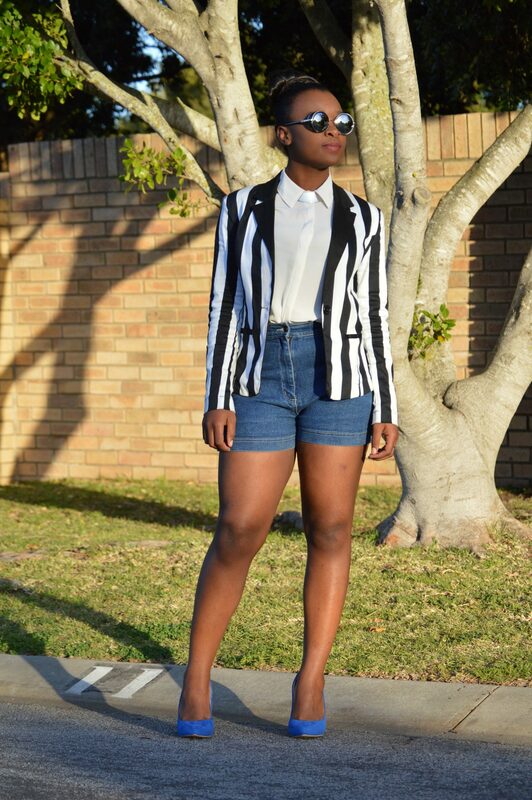 The black stripes on the blazer already balance things out. Alternatively, platform shoes can be switched with simple pointy/court heels (like the ones in the picture above) depending on comfort levels and the look wishing to be achieved.